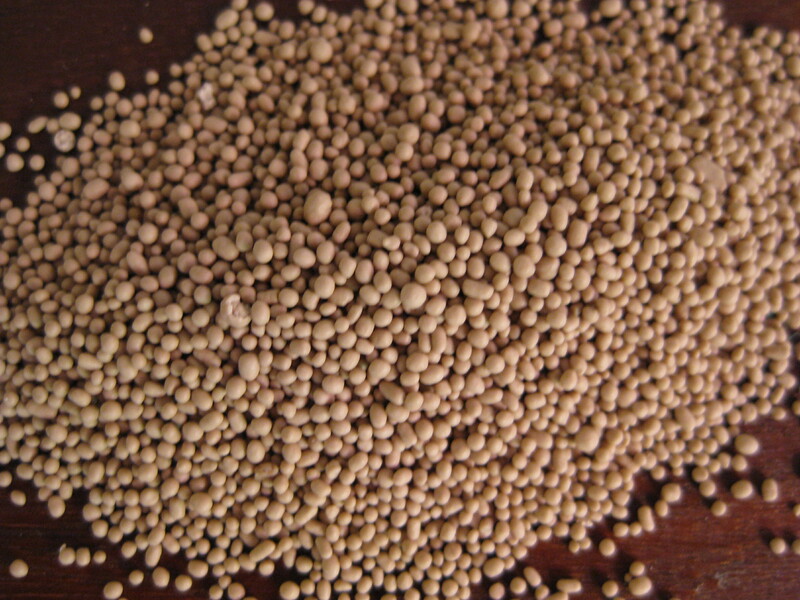 What is the difference between instant yeast and dry yeast? How can I substitute for fresh yeast when I cannot get any? How do I use a sourdough starter in a recipe that calls for yeast? Recently I have had a lot of questions about yeast so it was about time to write a little post to answer the FAQs. Yeast is a micro organism. It is in the air and on every surface - it is all around us and it's job in this world is to break things down in a process of fermentation. It eats things and, just like humans, it emits gas in the form of carbon dioxide as a result. 2. What does yeast eat? Yeast's favourite food is sugar and it loves to eat the sugar in fruit, grains, flour and just about anything. Hence, if you add sugar to yeast when you are proofing it, the bubbles and beige sludge appear more quickly and the bread baking process is faster. For industrial bakers this is good: it gets the product out the door even faster. The same is true for brewing. If you add sugar in your brewing process, the product is ready more quickly (and you get more of it through your factory faster). As a point of interest, there are only four countries in the world that forbid the use of sugar in beer brewing. Can you name them? Prize for the first person to respond with the correct answer! 3. Is brewers yeast the same as bakers yeast? No. In fact there are different kinds of yeast for brewing different kinds of beer, for making different kinds of wine, for "nutritional" purposes, and for baking. 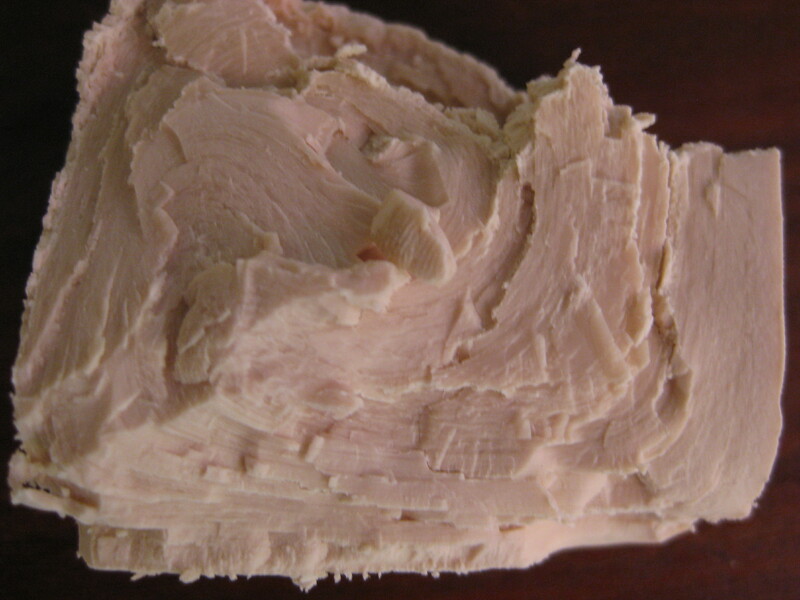 In spite of this, there are surprisingly few different kinds of yeast in the world. To learn more about yeast you can do no better than have a look at Cara Technologies web site where you will find lots of info about yeast. 4. What are the forms of yeast we use to make bread? 5. What is the best kind of yeast to use? That entirely depends. Using the natural yeast (the kind that is floating about in the air) that is trapped in a sourdough culture is a specific form of baking. It is not difficult or complicated it is just different and it takes longer to bake bread this way and the bread you make is a little different from bread to which you have added one of the other forms of yeast. You can read more about sourdough baking here and you can come on a sourdough class with us if you get really interested. Regarding yeast you can see, you are frequently limited by where you live. In some parts of the world, fresh yeast is sold everywhere. In other parts of the world, including the UK, it is harder to buy. 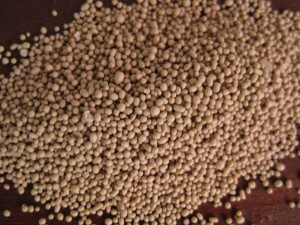 In some parts of the world dry yeast is impossible to find and instant yeast is everywhere. So the first rule of yeast is "use what you can get". If you can get more than one kind, you face a convenience versus purity conflict. Fresh yeast is 100% yeast and you just crumble it into your flour, add everything else, and get kneading (convenient and pure). Dry yeast is 100% yeast but you have to "proof" it (fancy word for dissolve in water) before you can use it because the pellets are too big to break down in the ordinary kneading process . The result is that it does not work very well and you risk biting into a nasty tasting little pellet of yeast in your final loaf (less convenient and pure). Instant yeast is instant. Like fresh yeast, you just measure it into your bowl with all the other ingredients and begin to knead. However it is not 100% yeast. It contains additives (read the label - some instant yeast brands are 93% yeast and 7% additives) and this is simply something you should factor into your decision making process if you have a choice (convenient and impure). 6. What kind of yeast do you prefer? My favourite kind of bread is sourdough bread because I like the flavour and the texture. When I am using "yeast that I can see", my preference is for fresh yeast if I can get it. This is because it is both convenient and pure. If I cannot get it, I switch to dry yeast and simply have to accept the bread making process will take 15 minutes longer. As a last resort, and when I teach, I will use instant yeast if I have to. There is no time in a class to spend the extra 15 minutes proofing dry yeast. However, it really is as a last resort because I don't want to ingest the additives if I don't have to. Nor do I want to feed them to my students! 7. Are the different forms of yeast interchangeable? 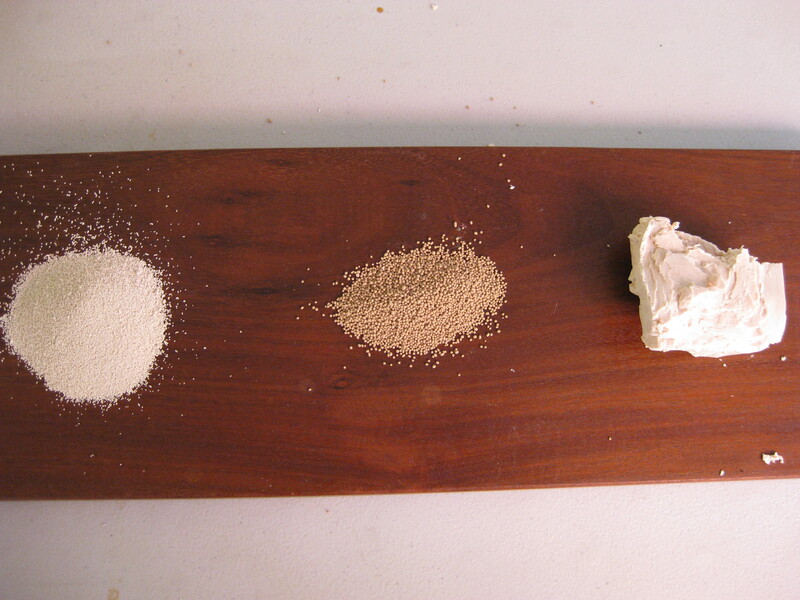 The three forms of yeast "that we can see" (fresh, dry, instant) are completely interchangeable. However, you use different amounts of them, for the same amount of flour. As a rule of thumb, the amount of dry yeast you need is 1% of the total amount of flour. The amount of instant yeast is 50% of that and the amount of fresh yeast is double that. Thus, if you are using 500 g of flour, you need 5 g dry yeast or 2.5 g instant yeast or 10 g fresh yeast. This is fine if you are weighing your ingredients. It's not so fine if you are not. However, every recipe should tell you how much of what kind of yeast you need. If your recipe book does not tell you how much of what type of yeast to use, you can always calculate it by looking at the quantity of flour. Use the handy guide above. In my book, All You Knead Is Bread, every recipe gives you the exact amounts of instant/dry/fresh yeast you need to use, and how to use them. You may notice that your recipe calls for much more yeast than advised on here. Oddly Scandinavian and North American books call for a lot more yeast than I would typically use. That is ok but you don't really need more. More just means the bread will rise more quickly. On the down side, it may taste "yeasty". Further, your bread will taste better and be easier to digest if it rises more slowly. 8. Can I really fail if I use too much or too little yeast? That depends what you mean by fail. If you use too little yeast, your bread won't rise very much and it will take a long time to do very little. If you use too much your bread will taste unpleasantly yeasty. The important thing is that we just don't need more yeast than we need. It's like salt. A little is fine. A lot is not. Don't be tempted to throw a huge amount of yeast in your bread to make it really high! It won't taste nice and it's not good for you. Just stick to the guidelines above and you will be fine. Any other questions? Just ask! Click here to come on a bread course with us. They are fantastic, friendly, and cosy and you have plenty of time to ask as many questions as you like. Is there a yeast that is glutton free? all yeast is gluten free! Can I use Active dry Yeast for homemade wine if I dissolve it at 104 F, set for 15 mins. w/o stirrg. and stir it--then add to my room temperature natural juices?? Hello! I have no idea, sadly, am baker with no knowledge of brewing! I already read that the yeast should be droppen in a hole made in the flower, after putting your ingrediënts in from wet to dry. I also read to keep the salt as far away from the yeast as possible. But now I'm wondering if every kind of yeast is able to be dropped in the flower overnight without reacting? Hi there, I am not an expert on machines, I am afraid, I would just follow the instructions! Well, it a major understatement to say how happy I am to have found this website/blog! I have spent a year trying to get to grips with hand baking wholemeal bread as a total, utter novice. My husband quips it took less time to develop the atom bomb and I should use a bread maker ! A year ago, I made the mistake of paying to go to a bread making course a long drive away near Cardiff and couldn't really follow the chap as it was all in " artisan bread language" as was his printed handout ! Here we are a year on and I think I have finally found the best technique which seems to work. I am so glad you are happy! Most recipes (and all yeast packages) ask you to use far more yeast than you need. Yes the bread will rise more quickly but that is not actually good for you (harder to digest bread that has risen quickly) and it will taste yeasty. You simply don't need as much yeast as they call for. Maybe it's a ruse to get you to use more than you need (and buy more) or maybe a throwback to 1970s cooking when everything had to happen quickly. All of my recipes (both on the site and in my books) call for the minimum amount of yeast and therefore a longer time rising (1-2 hours for the first rise and longer sometimes for a high butter dough) and that makes the bread easier to digest and more tasty! I am a vegetarian and it's been difficult to find nutritional yeast where I live. I was wondering, what if I just eat instant yeast? Is it dangerous? Is it toxic? Can I eat it at anytime? Or I can eat it but have to wait 2 hours before and after foods? I would not eat instant yeast - it is not nutritional yeast - they are completely different things, I am afraid! Now I finally know how to use the different yeasts. Love it! When making breads, cookies, cakes, pies, muffins....i'm gluten intolerant so i have to use gluten free ingredients. I want to make everything as fresh and orgabic as possible, so would it becbetter to have sourdough starter to use as my "yeast" in yhese things? Or can i use the active yeast that's in the fridge? There are plenty of benefits of sourdough bread. Basically the longer fermentation time makes the flour more digestible, and it provides extra flavour and a chewy texture. I don't bake anything gluten free (except the odd cake) and so I have not tried sourdough gluten free. 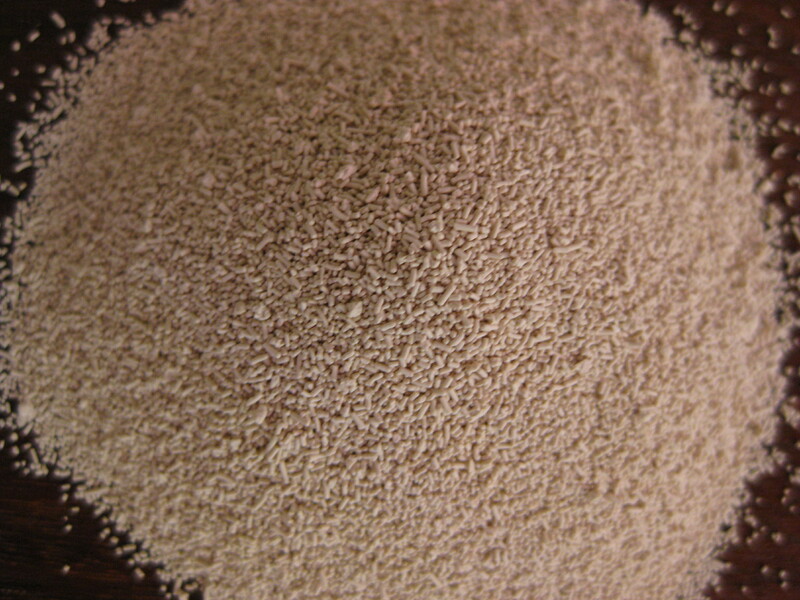 As re yeast - it is possible to get organic fresh and dry yeast at a health food store. If you cannot get organic yeast, at least get the "dry active" (as opposed to instant or ready bake) yeast or fresh yeast as these have not got the preservatives that the instant yeast has. I hope this helps! This is an amazing page, thank you for the information. I want to make burger buns, I will make them with whole wheat flour, I got a recipe that is using "dry yeast" and I have fresh yeast... my doubt is if I can use the same measurement of dry for fresh and if the amount of yeast depends of the type of flour. Dear Cian, thank you for your message. The type of flour you use is not important. 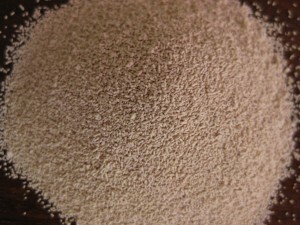 For fresh yeast, use 2% yeast of the weight of the flour. So if you are using a kilo of flour, use 20 g fresh yeast, etc. I hope this helps! I made the buns and the result was dryer than I expected, maybe because I let the dough rise more than 2 hours...I need to check that. Today I'm making another recipe so I will let you know how it went! Thank you so much for enlightening me about the various yeasts. I was trying to figure out how much active dry yeast to substitute for an "easy bake yeast sachet" for 500gr of flour and now I feel comfortable doing so. So pleased we could help! I am confused with the term yeast. Yeast I guess is a bacteria. I have cultured some yeast bacteria from "Whole Meal Flour Strong" and "Rye Flour" and water with a touch of honey to give it a early boost. 50% Flour and 50% water. I now feed it twice a day with 25% flour 25% Water 50% previous 12 hour yeast growth. The growth bubbles away quite happily at 40 degrees Centigrade. I have manufactured a prover which keeps it self at 40 degrees Centigrade. Also use it to prove and bulk ferment bread. When people talk about different types of yeast they usually refer to "dry", "fresh" etc. However, there are also different strains of yeast - to make beer (and different yeasts make different beers), wines, sherry, port - anything fermented gets that way because of yeast. In fact, although there are several strains of yeast there are not millions or billions. Yeast lives in the air and the air blows around - so yeasts are similar all over the world. The Cara yeast lab keeps all the known yeasts in dry ice to preserve them. Yeast is not a bacteria - it is a micro organism. there are various strains of yeast (versus ways in which bakers' yeast is available). Brewers yeast and bakers yeast are different - that I know. Brewers yeast does not, for example, make very good bread. I am no expert. I suggest your friend contacts a nutritionist for an accurate opinion. Ever thought of using Google. Hi, Is Yeast extract which is in chicken broth. The same as baker's yeast? Probably not although I don't know for sure. Yeast extract like that is probably more like marmite which is a brewer's yeast extract. At least, I think so! Firstly I would like to thank you for your great share of such useful info. My only inquiry is about the Pizza dough, how to make the best one and which yeast we should add ?. Many thanks again and good luck. I have some recipes that called for fresh yeast, unfortunately I can't find one to buy it. Is there a way to use dry or active yeast , if so how much and how to do it? If it says 15 g of fresh yeast? What is the equivalent? Is the brewers or destiller yeast , consider fresh yeast? Hi there, have a read of this: http://www.virtuousbread.com/bread-and-conversation/the-four-different-forms-of-yeast-and-how-to-use-them/ Here is the way you know how to use the different kinds of yeast AND how much to use! I was recently told by an Allergist that I am allergic to raw yeast and that it is use in natural vitamins. What foods or condaments is raw yeast used in? I have tried to find info on raw yeast but have been unable to find anything on it. I am not a specialist in yeast, I am afraid. Yeast is everywhere - it's a microbe that lives in the air so when you are told you are allergic to it I think you may need to ask the Allergist what they mean and how you can avoid it. I am sorry I cannot help you more. Hello I was wondering what is the appropriate type of yeast to use in a dry instant beignet mix, and is there a standard ration of powder milks (such as whole and buttermilk powder) to the total weight of flour while keeping the PH in mind. I know buttermilk powder can effect the PH of the mix and interrupt the function of the yeast once water is added to make the dough. I don't want to kill the yeast. . Thank you for the rule of thumb on the amount of dry yeast to flour very helpful. Any kind of yeast will work but you do use different amounts. As a rule of thumb (and here I weigh all ingredients) you use 2% of the weight of the flour in fresh yeast, 1% dry yeast or 0.5% in instant yeast. So for 1 kg of flour you use 20 g fresh yeast, 10 g dry and 5 g instant. As re the buttermilk powder, the PH is not going to make a huge difference - it certainly will not kill the yeast in this quantity! Was wondering if you could give me some insight whether or not air is neccessary in making the yeast rise. If so, in what aspects? Are there yeasts that do better or worse with or without air? Could really use your help with my experiment. I am not a chemist and I am sure there are more learned people who can explain accurately. In my experience aerating dough by stretching and folding it, kneading it or otherwise manipulating it helps the dough to rise but I believe that is for three reasons - firstly it helps more gluten to form, secondly it elongates and and distributes any air bubbles that are already there and thirdly it moves around the dough, enabling the yeast to find more food to eat (to make more carbon dioxide bubbles. I do not know whether yeast needs air to live. If you do go ahead and try to bake bread in a vaccuum I will be fascinated to know the result. Sorry I cannot help you more! the differences between the different kinds of yeast remain the same whatever you are baking. They don't cause the bread dough to rise more quickly or slowly, they just have to be activated and incorporated into the dough in different ways. Whatever yeast you can get is great. My question is more towards pizza dough. Durning the mixing process some recipes ask to mix 2 minutes on slow 8 minutes on fast and 2 minutes on slow. Others well say to mix at one consistent speed. What is the reasoning behind that? and is one more preferred then the other? Hi there, Mike, there is no correct answer which is reassuring! You can follow loads of different recipes and come up with a good dough. I do a "no knead" pizza dough and I love it. It depends on your baking tradition. Do whichever you prefer! During the mixing stage you are building up the structure in the dough. How ever it is done the final result is the proof.You are looking for a homogeneous smooth dough. The other item you should consider is the temperature of the dough which should be about 64 degrees Centigrade. Obtained by balancing the temperature of the flour and water. The faster you mix the dough the warmer it becomes. Some cooks obtain the temperature by changing the mixing speed. Faster the warmer it becomes. I prefer to control temperature by adjusting water temperature. The names of the four countries that forbid the use of sugar in the production of beer, answer hopefully is: Belgium, Germany, Czech Republic and Ireland?